We were staying near Albert Cuypstraat, where the famous market is, though to be honest it’s hard to understand why it’s famous. I can buy cheese and cheap shoes anywhere, thank you very much. Anyway, the trusty guidebook led us to a place called Bazar, a restaurant housed in a former synagogue – a quirky space with kitsch decor that includes vintage 50s advertising signs and enough twinkly lights for a thousand Christmas trees. 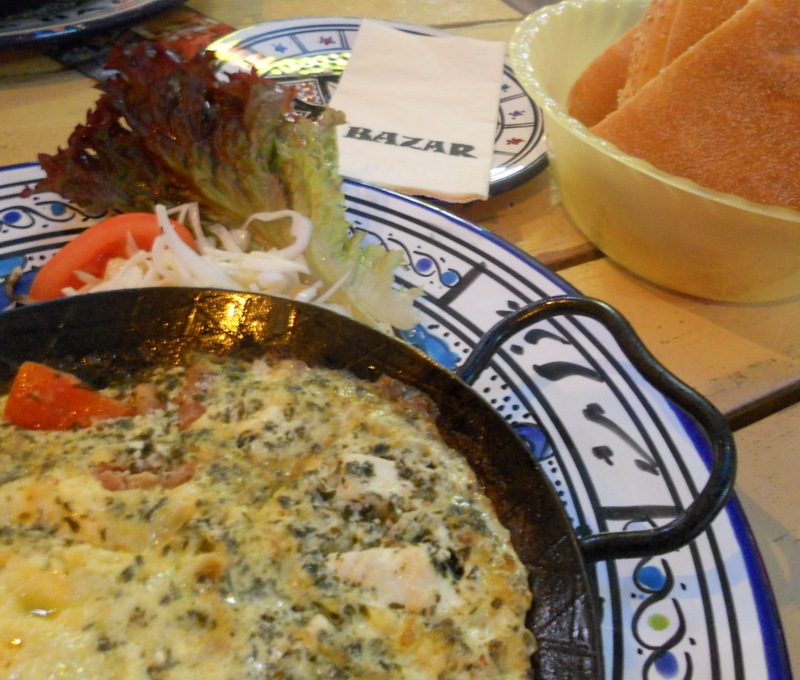 The service was rubbish (sorry, Bazar, but I cannot lie) but the food was pretty fantastic. We needed protein so two of us had mini spicy feta and pepper omelettes, each served in their own cute little pans. These were great but Bazar’s triumph came in the form of the smoked lentil soup that our other tired chum had. There aren’t that many smoked foods for vegetarians – tofu sometimes, almonds occasionally – which is a shame. On the other hand, it means that recipes that do have a smoky flavour are extra special. There’s always a silver lining. You can use whatever veg you have to hand in this soup. We used carrot, courgette and mange toute but more or less any green or root vegetables will do. It’s the smokiness that matters. The protein too, of course. Hurrah for Bazar (terrible service notwithstanding)! 1 In a large pot, saute the onion and garlic for about 8 minutes (until it starts to smell really good). 2 Add all of the other vegetables, stir well and cook over a gentle heat with the lid on for 10 minutes, stirring occasionally. 3 Add the smoked paprika. Stir well for two minutes, until all the vegetables are coated. If you want the soup to taste really smoky, you could add another half teaspoon of paprika. 4 Stir in the lentils, tomato passata, rosemary and half of the vegetable stock. Bring to the boil then reduce to a simmer. Cook for 10 minutes then stir and add the rest of the stock. 5 Cook with the lid on for another 15-20 minutes, stirring occasionally. 6 Add salt and black pepper to taste. 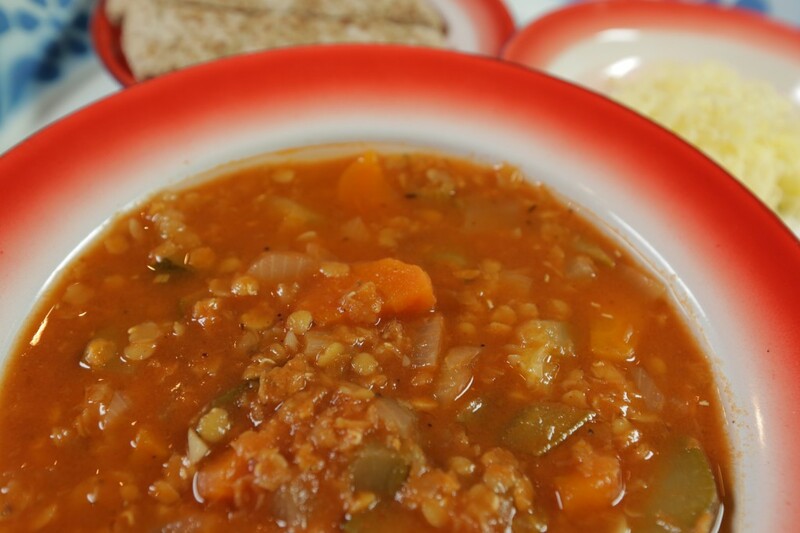 Serve with grated cheese and wholemeal pitta or crusty bread.